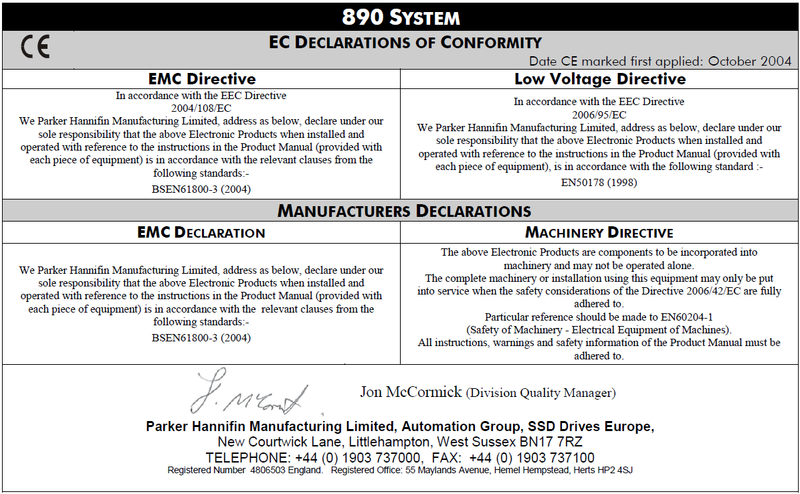 Home Parker Community Technologies Electromechanical Group Electromechanical Knowledge Base What safety standards does the 890 meet? Must be installed to EN60204 Standards. 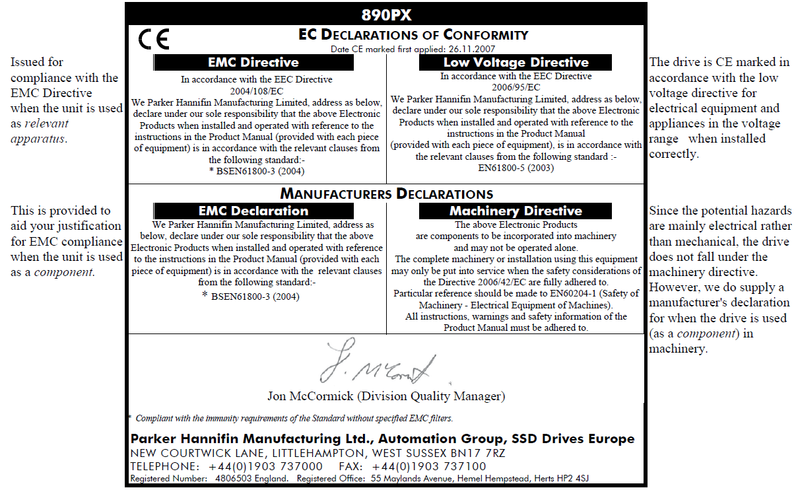 Must meet requirements of UL50. As defined by UL50, Suitable for cubical mount only. Meets the requirements of IP21.